There is a tradition in the house of accepting unconditional regret expressed by the person guilty of breach of privilege. 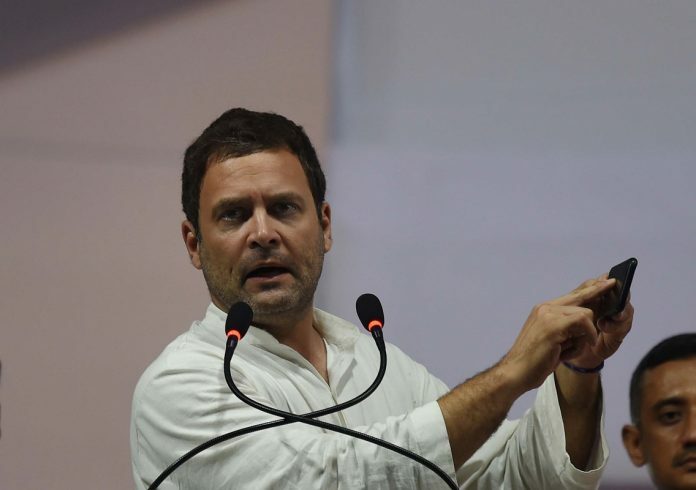 New Delhi: Congress president Rahul Gandhi may have to tender an unconditional apology for his tweet on finance minister Arun Jaitley if the privilege notice issued against him is considered by the Lok Sabha Speaker. This is also a first of its kind ‘breach of privilege’ notice on the basis of a tweet. Rajya Sabha chairman M. Venkaiah Naidu had forwarded the privilege notice to the Lok Sabha since Rahul is a member of the Lower House. Parliament is vested with powers to punish a person found guilty of breach of privilege or contempt of the house either by reprimand, admonition or even imprisonment. It can also order suspension or expulsion if the case involves one of its own members. However, it is also largely the tradition of the house that unqualified and unconditional regret sincerely expressed by the person guilty of breach of privilege is accepted and no further notice of the matter is taken. While questions of privilege against members of both houses of Parliament have been raised in the past as well, most of them have resulted in no action as deliberate misrepresentation could not be established or expression of regret was accepted. The first question of privilege was raised on 11 May, 1954 in the Rajya Sabha against N.C. Chatterjee who was then a Lok Sabha member and described the upper house as a ‘pack of urchins’ attracting a notice from the secretary, Rajya Sabha. It was then that a common procedure was agreed upon to deal with any complaint regarding breach of privilege against a member of either house of Parliament. In December 1954, Chatterjee submitted a statement saying he did not mean any disrespect to the RS and apologised for any such wrong impression created. That finally closed the matter but more cases followed. On 21 May 1979, comments made by then minister Pranab Mukherjee and Rajya Sabha member on the subject of voluntary disclosure of income and wealth attracted the notice. However, after receiving Mukherjee’s comments, the committee of privileges ruled that he had not committed any breach and so no action would be taken. On 24 August 1987, Somnath Chatterjee raised the question of privilege against MoS defence Arun Singh on the issue payment of commission in a defence deal. No action was taken in this case as well as his comments were not construed as deliberately misleading. On 11 September 1992, George Fernandes moved a notice against then MoS finance Rameshwar Thakur which also met the same fate. In July 2008, a notice signed by several MPs was moved against Bal Thackeray for his comments in his newspaper ‘Saamana’ on the issue of violence against north Indians. It was later found that RS member Sanjay Raut had written the article and since he expressed regret during his oral submission, the matter was not pursued. Rahul Gandhi’s official Twitter handle @OfficeofRG posted a tweet in reaction to the finance minister’s statement in Parliament defending Prime Minister Modi’s comments on former PM Manmohan Singh during the Gujarat campaign. The made a pun on the minister’s surname. “Dear Mr Jait’lie’-thank you for reminding India that our PM never means what he says or what he means #BJPLies”. The pun in the tweet is what has attracted the notice to Gandhi. BJP national general secretary and Rajya Sabha member Bhupender Yadav has raised a question of privilege under Rule 187 of the Rules of Procedure and Conduct of Business in the Council of States against Rahul Gandhi. Yadav is learnt to have written to Rajya Sabha chairman Venkaiah Naidu saying that the Rahul’s tweet “imputes motives to the intent, character and conduct of the leader of the House, Shri Arun Jiatley” but the way the spelling of the surname ‘Jaitley has been “twisted to Jaitlie”. This has been deemed as “highly derogatory and extremely unbecoming” on part of the Congress president. Yadav is learnt to have further added in his representation to the RS chairman that through his tweet, the Congress president has deliberately misinterpreted the proceedings of the Rajya Sabha in order to malign the government and this constitutes “an affront to the dignity of the House”.